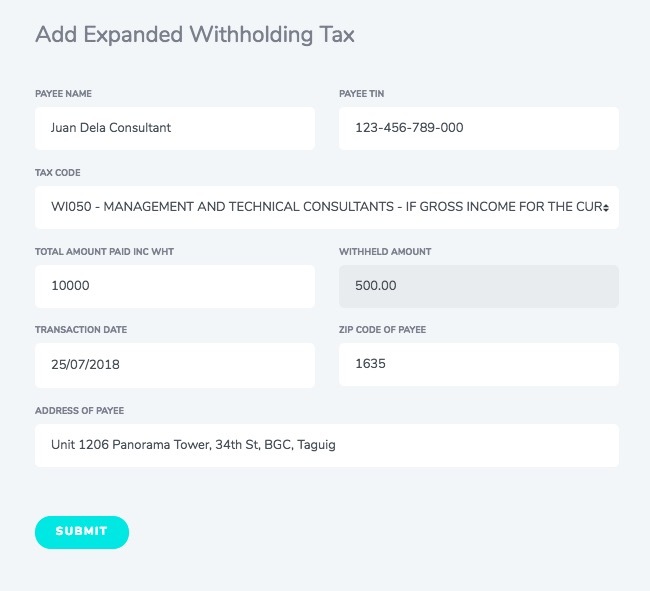 How to do I enter withheld taxes if I am the withholding agent? The Payee Name, the "base amount", and the date are carried over. Fill out the rest of the fields with the appropriate information. 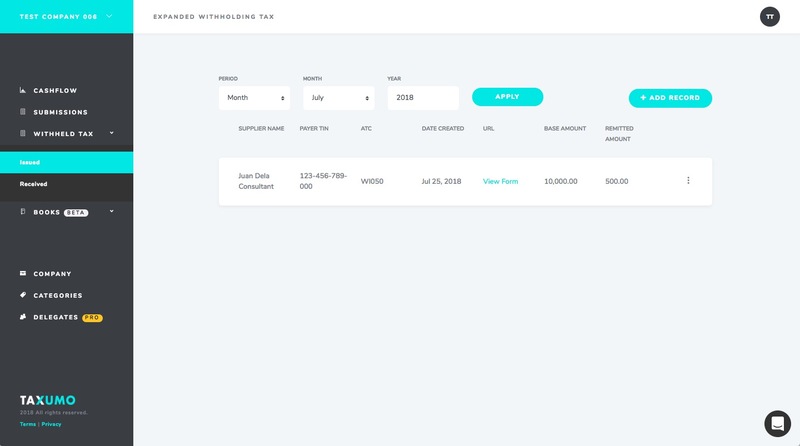 From there, you can click on View Form, to automatically generate the Form 2307 that you'll give to the supplier along with the payment. 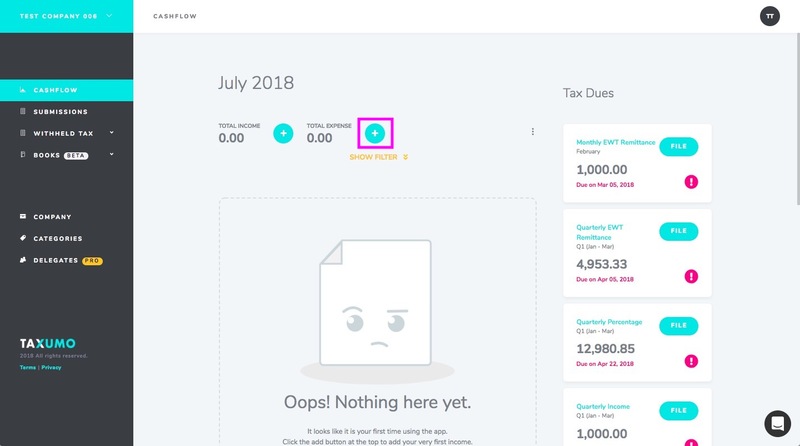 This data is then used to fill out your 0619E (Monthly Remittance Form of Creditable Income Taxes Withheld) and your 1601EQ (Quarterly Remittance Return of Creditable Income Taxes Withheld). 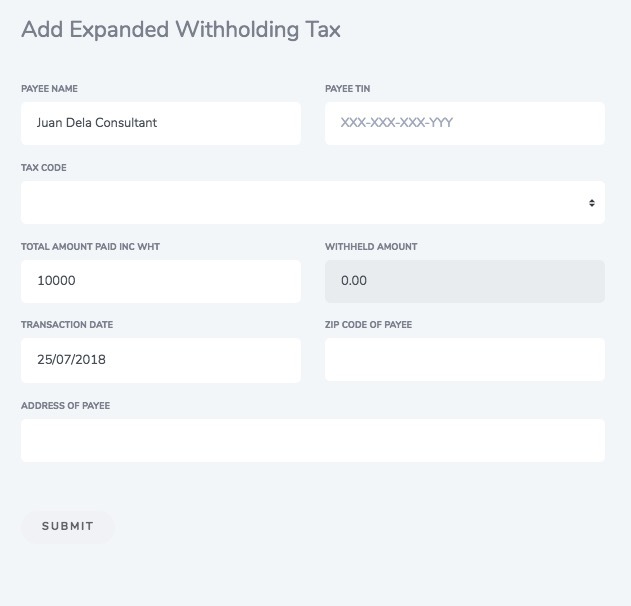 *Note that you can also enter the WHT Entry directly by going to Withheld Tax > Issued. 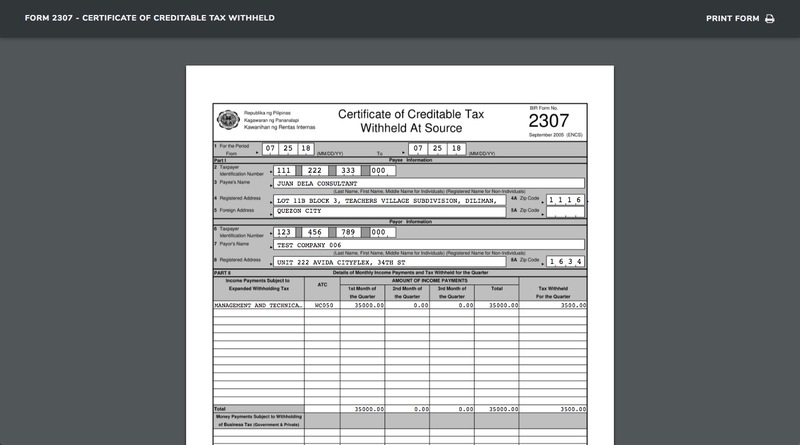 We provided this so that you have maximum flexibility and control over your tax forms. 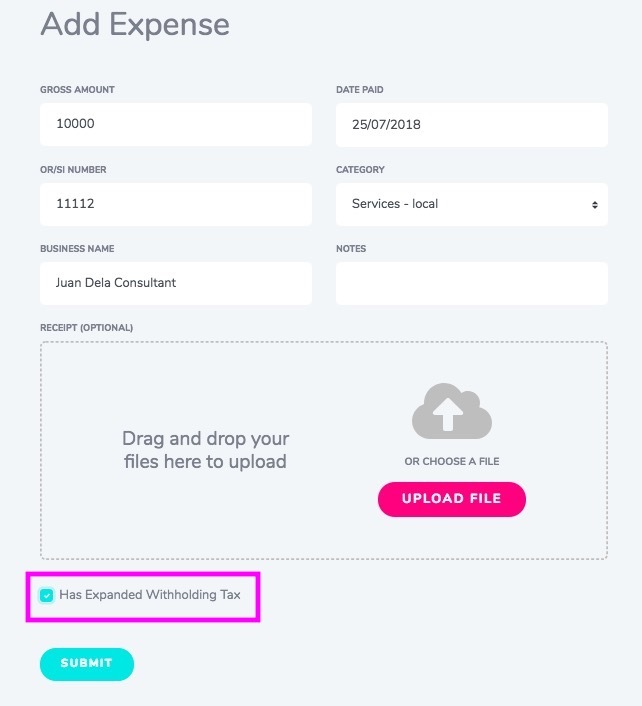 Take note, however, that there might be some inconsistencies with your books of accounts reports if you do this, so we recommend you always enter via the Enter Expense functionality (as described above).